Anthony de Fazekas’ practice focuses on all areas of information technology law, including the formation of winning IP strategies and the development and prosecution of original patent applications in a wide range of IT-related technologies. He has also handled all aspects of high-profile in-bound and out-bound technology licensing transactions and has developed cutting-edge legal templates for numerous significant IT companies. He is the head of our technology and innovation practice in Canada. 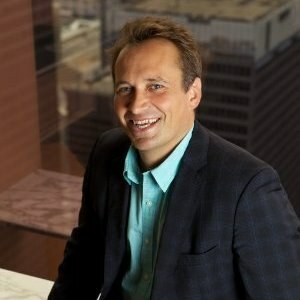 Mr. de Fazekas has worked extensively in the innovation sector with many research institutions, large corporate innovators, startups and scaling technology companies. He has a proven track record in helping drive the acceleration, and increased valuation, of technology startups. Mr. de Fazekas has a thorough understanding of the technology and business objectives of his clients and transfers this knowledge to client service teams. He brings creativity, sector insight and business-mindedness to all client projects.